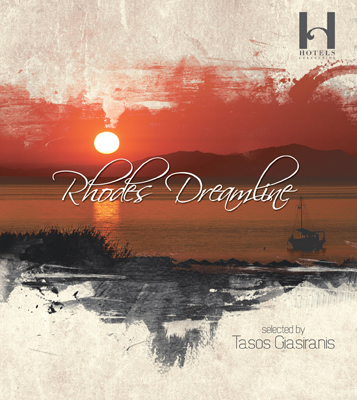 V/A - Rhodes Dreamline By Tasos Giasiranis Tasos Giasiranis is one of those people that their birthplace is proud of having. Born in Rhodes island, he was the younger at age ever radio producer with his own show in the history of Rhodes and as years passed he became the most famous person in the island’s nightlife. His bio is full of trips around the world presenting his very friendly house style and “being an ambassador” for his favorite place in the planet, Rhodes. In 2009, promoting Rhodes was the idea of his first ever music compilation. This idea was meant to become a purpose of life as this continued in 2012 when Tasos Giasiranis compiled his first project for Klik Records TMP, the “Rhodes – Terme Di Calitea”. Following the success of his previous project, Klik Records proudly presents the 3rd compilation of Tasos Giasiranis – “Dreamline”. With the kind support of the magnificent H Hotels Collection he once again blends his three trademarks, eclectic taste, unique style and love for this island, to create another piece of art.